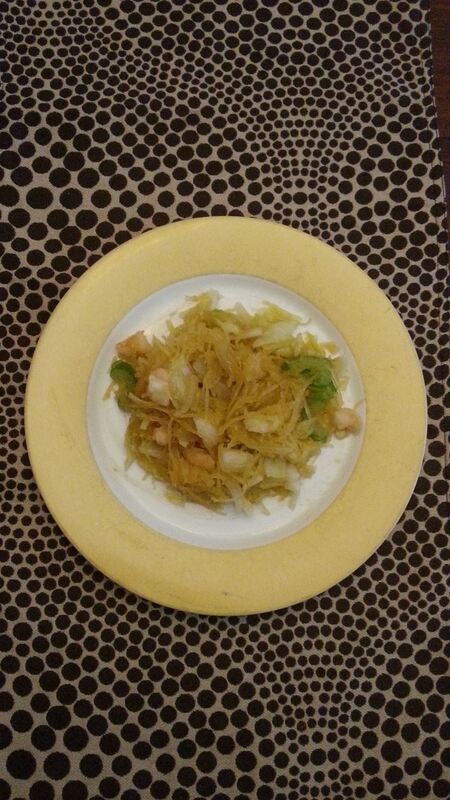 This week I made a delicious dish that tasted just like Chinese take-out. 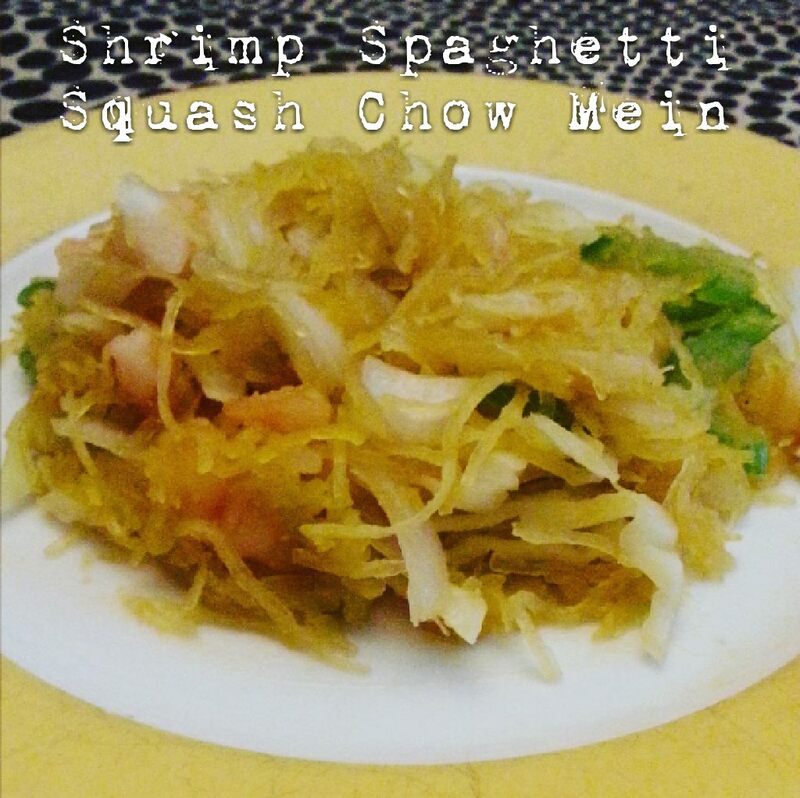 Chase and Ashton grabbed some chop sticks to enjoy this Shrimp Spaghetti Squash Chow Mein. It was really cute trying to teach the boys how to use them. We don’t order Chinese take-out often so this was a nice alternative for the family to enjoy. Once done, scoop out flesh with fork so it breaks into strings, set aside. In a small bowl, whisk together soya sauce, garlic, brown sugar and ginger. Heat oil in a large skillet over medium heat. Add celery and onion, stir frequently, for 3-4 minutes or until it tender. Add the shrimp and stir-fry until pink, about 3 minute. Add spaghetti sauce and cabbage into skillet then pour soya sauce mixture on top stirring for 3 to 5 minutes more until well combined. Transfer to a large bowl for serving.